Do you have a favorite movie genre? The Man Who Fell to Earth is about an alien that travels here to transport water back to his dying planet. Thomas Newton (David Bowie) is an alien that travels to Earth for water after a drought has ravaged his home planet. Since Newton looks just like a human, he blends in perfectly to society, and uses his advanced technology to file numerous patents and become extremely rich. With his amassed wealth, Newton needs a space to build a spaceship to transport water back to his home planet. He meets a young girl named Mary Lou (Candy Clark) and she teaches him Earth customs. I would normally give a slightly longer synopsis of the film, but that’s about all I could surely surmise from The Man Who Fell to Earth. Calling the movie “trippy” is almost an understatement since at times I found it totally incoherent. Even at its most esoteric, I never found The Man Who Fell to Earth painful to watch, but it has more than a few moments that had me saying “wtf?”. Since this was David Bowie’s big screen debut, it’s worth noting that his performance as a slightly robotic alien is fairly unsurprising. Oh, and in case you ever wanted to see naked David Bowie, this is your movie. Even though I barely had a grasp of the plot, I think a lot of The Man Who Fell to Earth actually has more to it. I would normally say it would be worth watching again to try to discern more of what was going on, but I’m not sure if I’ll ever be up for that. The Man Who Fell Earth is not a bad movie, there is still a lot to like, especially given the cult status the film has achieved since its release. 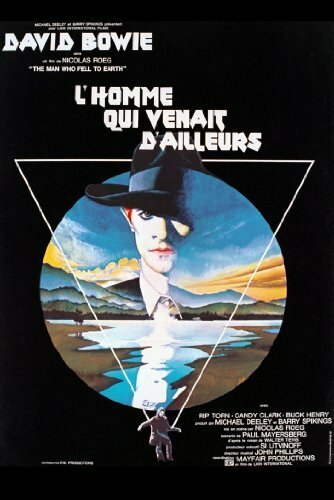 I have seen many many movies in my time, and The Man Who Fell to Earth is something unique, albeit very strange. I give it 3 David Bowie taking out his contacts out of 5. In The Third Man, a pulp novelist travels to Vienna to visit an old friend but winds up investigating his mysterious death. Holly Martins (Joseph Cotten), an American pulp fiction writer, travels to Vienna, Austria to visit his friend Harry Lime (Orson Welles) who has offered Martins a job. Upon arrival, Martins finds out that Lime was killed by a car while crossing the street. Martins attends Lime’s funeral and meets some policemen and a man named Baron Kurtz (Ernst Deutsch) who says that he and another man carried Lime across the street after the accident.Lime’s apparent dying wish was for them to take care of Martins and Lime’s girlfriend, Anna (Alida Valli). After visiting Anna, Martins begins to suspect something is amiss with Lime’s death as the doorman tells him that Lime died instantly and that three men carried the body, not two. Martins then digs deeper into Lime’s supposed death to find the truth about Lime and the identity of the third man. I have never quite seen a film quite like The Third Man before or since watching it. The film follows many great pulp/noir films but what really sets The Third Man apart is the score. Composed by Anton Karas, the entire score is made by a zither, which almost adds a comical whimsy to the serious nature of the film. If you’ve seen an episode of the cartoon Spongebob Squarepants, the soundtrack is almost reminiscent of that. The first time I watched The Third Man I was highly distracted by the soundtrack while watching but after the film had ended and I was still putting all the pieces together, I really appreciated the story. The second time through the music wasn’t distracting, but it still made me smile which seems almost morbid. The plot of The Third Man was a bit confusing to me since it deals with crossing paths and deception, but that also plays into the film’s strengths. We don’t know Lime’s secrets and as we learn them it almost makes it unsure what is real and what is fabricated by Lime. Welles is perfect for the role, though he has minimal screentime for the high billing he receives. All the other actors shine just as bright, but Welles just has such charisma. 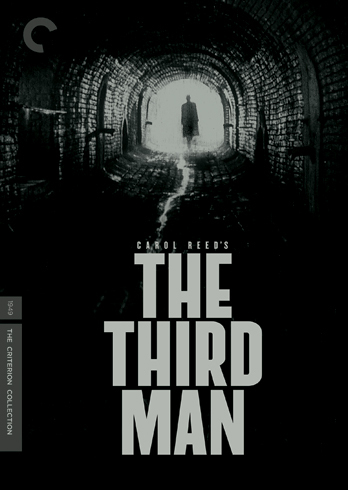 While I have the Criterion version of The Third Man pictured, it has lamentably been discontinued and publishing duties have been given to Studio Canal. The reason I point this out is because even on blu-ray, Studio Canal’s treatment of The Third Man is not great on a whole. The soundtrack is uneven, there were times when it was like the zither was on full-blast, but for the most part it was OK. I wish I had the gumption to get the Criterion, but I don’t feel like spending over $100 on one. I wouldn’t dissuade buying Studio Canal’s treatment, but I wouldn’t fully recommend it either. The Third Man is a film that doesn’t fall neatly into just one bucket. It is mostly a pulp/noir mystery, but the score lightens the tone of the film and gives it a life all its own. With a different score, The Third Man wouldn’t be the same movie, I’m not sure for better or worse. If you haven’t seen The Third Man by now, I strongly recommend it. In fact, I recommend watching it a few times if you find the soundtrack too jarring at first. I give it 5 Third Man themes out of 5. I turned 30 on Sunday and as a result, I’m feeling old generous! Turning 30 is kind of a milestone (and since I missed my site’s 6 month anniversary because I wasn’t paying attention), I wanted to share the love with all of you and hopefully gain a few new faces by giving away $30 for turning 30. The contest will be starting immediately and running until October 15th, so there’s plenty of time for you to enter. Congrats to the winner, Mr Rumsey who hedged out a win by one…single…point! 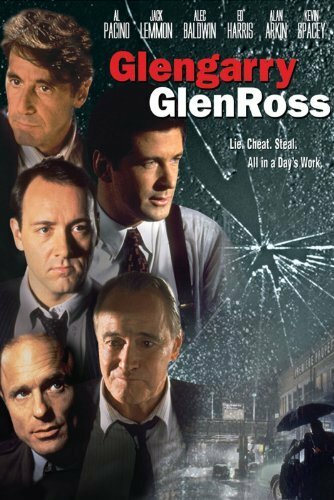 In Glengarry Glen Ross, a team of four struggling real estate salesmen are battling for their jobs. A small firm brings in a young, talented salesman named Blake (Alec Baldwin) to motivate a small group of four real estate salesmen, informing them that only the top two would remain. In addition to keeping their jobs, the winner will receive a new Cadillac and access to better sales leads. The salesmen are Shelley “The Machine” Levene (Jack Lemmon), Dave Moss (Ed Harris), George Aaronow (Alan Arkin), and Ricky Roma (Al Pacino), led by office manager John Williamson (Kevin Spacey). As the deadline draws nearer, the men all have their own increasingly desperate tactics to getting sales from their current leads and eventually someone steals the famed Glengarry leads. Originally written as a play by famed playwright David Mamet, Glengarry Glen Ross is committed to film and executed similar to a stage set. 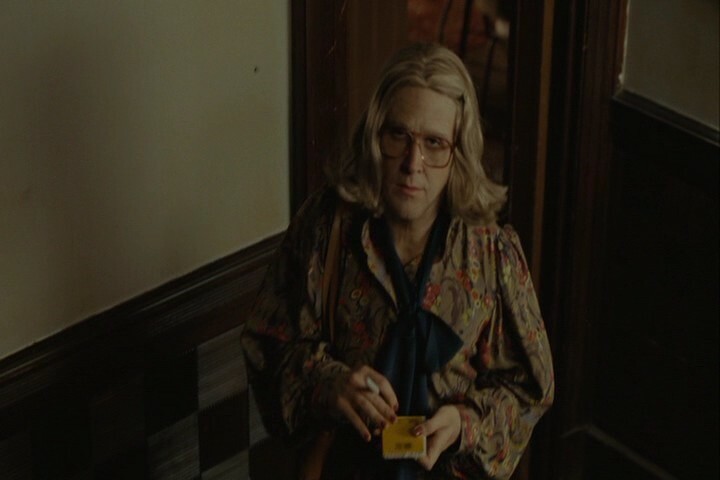 Most of the film takes place in the small office and each actor has a very unique personality that would lend itself well to the stage. However, even though the origin of the film is the stage, it doesn’t hold the film back in any way. The characters and dialogue are what matter here and each actor simply does a fantastic job in their respective roles. Speaking of the actors in Glengarry Glen Ross, I think this is some of the finest work Lemmon and Baldwin have ever done, Lemmon especially. That isn’t to say that Arkin, Harris, Pacino, and Spacey slouch, quite the opposite. It wasn’t until 30 Rock that Alec Baldwin found a role that defined his career more, in my opinion. As for Lemmon, it is a bit harder to pinpoint a favorite role in his storied career, but when The Simpsons create a recurring character around Lemmon as Levene, I would say that is an indicator of success. While Glengarry Glen Ross lacks action, it does provide a fair bit of tension between the characters. You root for them but also kind of loathe them for their slimy tactics to get the sale. The art of salesmanship is still quite strong and the material here holds up surprisingly well. As a character study, few films do so much with so little on screen which really makes the dialogue shine. Glengarry Glen Ross is far from flashy but character dramas may not come much better. Oh, and in case you were wondering what the title means, both Glengarry and Glen Ross are real estate developments being sold in the film. I give it 4 “always be closing”s out of 5. Doctor Zhivago is the life story of an orphan in Russia throughout World War I, the Russian Revolution, and the Russian Civil War. Sometime during the Stalinist era of Russia, a KGB officer named Zhivago (Alec Guiness) is looking for the daughter of his half-brother. He finds Tonya, the young woman he believes to be his niece and tells her the life story of,Yuri Zhivago (Omar Sharif). Orphaned as a young boy, Yuri was taken in by a family with a young daughter, also named Tonya (Geraldine Chaplin). Yuri goes on to become a medical student and a poet. On the other side of Moscow, Lara (Julie Christi), is in love with a young radical named Pasha (Tom Courtenay) but is seduced by an older man and friend of her mother’s, Komarovsky (Rod Steiger). After her mother learns of this, she attempts suicide and Yuri is called upon for his medical services, which is where he first meets Lara in a love story that spans many years as the two continue along their own paths before finding each other again. I’m not sure if I have said this before, but David Lean is synonymous with epic movies and Doctor Zhivago is one of his finest. It is a film that a single paragraph can not possibly summarize adequately, but the basis of the film is quite simple. While the story is largely timeless, the historical portions, names, and places are all fairly confusing unless strict attention is paid. During the first 30-45 minutes I thought that Yuri’s adopted father and Komarovsky were the same person, which was terribly confusing. Luckily, I have taken a fair share of world history courses and knew enough of the history of Russia so the constant political turmoil in the film was at least partially understood. Running close to 200 minutes, Doctor Zhivago is truly an epic film. While the film does feel long (though it does include an intermission) there was very little I found that felt superfluous. In fact, the pacing for the first half of the film is fairly brisk. If the film stopped and gave a history lesson and spent more time getting used to the characters, it would have easily topped the four hour mark. Even at such a length, however, I was entranced by Doctor Zhivago. Julie Christie is simply stunning to watch and when the soundtrack swelled I found myself falling in love with her as Lara too. Seeing Doctor Zhivago on the big screen was an absolute treat, for the soundtrack especially, but I would have liked the comfort of my own home where I could pause and take bathroom breaks as needed. I can’t stand having to get up in the theater and miss anything but at home I’m no stranger to the Pause button when nature calls. David Lean’s most famous epic, Lawrence of Arabia is coming soon and while I would absolutely love to see that in theatrical glory, I’m afraid the even longer runtime will likely dissuade even me. That’s the problem with epics, they have epic runtimes. Having never seen Doctor Zhivago, but having some knowledge of it beforehand (you may recognize Lara’s Theme), I am ashamed that it took me so long to finally watch the full film. David Lean is a director that doesn’t seem to get nearly enough love, but I have yet to be let down by a film of his. 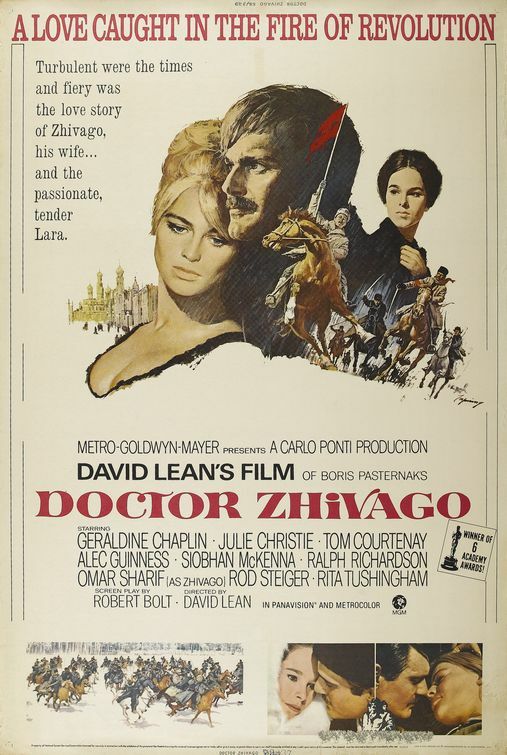 Don’t let the length discourage you, Doctor Zhivago is one of the best epic dramas of all time. I give it 5 Lara’s Themes out of 5.